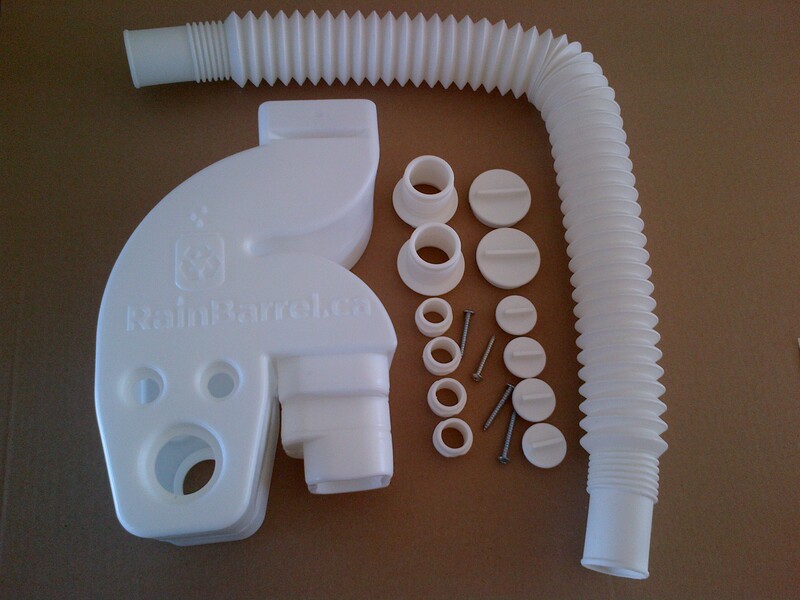 The Universal Downspout Rain Diverter attaches to standard downspouts including 2×3, 3×3 and 3×4 sizes. It can simultaneously supply up to six rainwater collection devices such as rain barrels, pools, hot tubs, ponds, etc. It regulates the volume of water that enters a rain barrel and therefore prevents excessive overflow through the top of a rain barrel during heavy rain events. 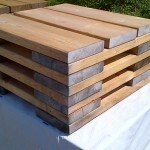 It simplifies the winterization of rain barrels as it is installed once and can remain in place during the winter. 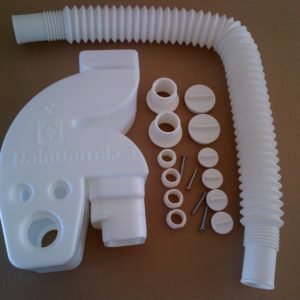 There is no need to repeatedly remove and re-attach the lower downspout every spring and fall. Winter caps replace the outlets to seal all openings. The diverter includes a single 1.5 inch diameter flexible and expandable hose that stretches up to 32 inches. Additional diverter hoses can be purchased separately or longer lengths of 1.5 inch overflow hose can be purchased to perform the same function as the diverter hose.